Wolfgang Amadeus Mozart. A name that is known by musicians and music lovers all over the world. This child prodigy was a highly influential Classical era composer. If you listen to a Mozart composition and it transports you to another world, welcome the journey. That would be what they call the “Mozart effect”. It has been found that listening to Mozart, raised students’ IQs by about eight or nine points. It has also been said that the Mozart’s Sonata for Two Pianos in D Major (K.448) decreases the number of seizures that epileptic people have. Maybe part of the reason is that it just sounds nice. On 27 January 1756, Leopold and Anna Maria Pertl became the proud parents of a baby boy, christened the next day as Johannes Chrysostomus Wolfgangus Theophilus Mozart. Later, the boy’s name was changed to Wolfgang Amadeus Mozart – he would come to be known as one of the greatest composers ever. Anonymous portrait painted in 1763 on commission from Leopold. When Wolfgang Amadeus (or Wolfgangerl to his friends, later shortened to Wolferl) was born, he had only one older sister who had survived birth, Maria Anna (nicknamed Nannerl). Nannerl was a talented musician and it was her music lessons that encouraged Wolfgang’s love for music. When Wolfgang was three, he started to take an interest in her lessons, and started to compose small pieces which his father would write down and he would play. Leopold was Wolfgang’s only teacher, and while he was certainly a devoted teacher, it was evident that the small boy was eager to make progress beyond what he was taught. Once Wolfgang’s gift had been discovered, the Mozarts took off on a tour of Europe – Leopold would play the violin and Wolfgang and Nannerl would play on the keyboard. Wolfgang would impress the audience by playing the keyboard with a cloth on top, so that he couldn’t see the keys. The tour was a hit, and the Mozarts was invited to play for the royal court during their trip to Vienna. This went well, and the noblemen were greatly impressed by young Wolfgang. Apparently, when Wolfgang slipped on the floor, Marie Antoinette, the young Archduchess aged only seven, helped him up. Wolfgang extended his thanks in the form of a marriage proposal. He was, in all probability, gracefully declined. But a child of his age can take only so much stress, and the travelling wore down the young Wolfgang who developed scarlet fever for two weeks. Those two weeks were enough for the hype to wear off, and people soon forgot about the talented family by the name of Mozart. In 1781, Mozart decided that he was old enough to pursue an independent career, and departed for Vienna. He met Aloysia Weber, who was a talented singer, and he fell deeply in love with her. However, she rejected him and later married the actor, Joseph Lange. During 1782-83, Mozart was highly influenced by the works of Johann Sebastian Bach and George Frideric Handel, two highly influencial composers from the Baroque period. Like the Classical and Romantic eras, the Baroque era had its own distinctive sound and styles. Such as the fugal (or poly-phony) style. Poly-phony is when there are several voices at the same time, as opposed to the typical Classical right-hand melody and left-hand harmony. In Mozart’s magical Die Zauberflöte (The Magic Flute) is a fine example with several fugal passages. One could say the The Magic Flute was the height of Mozart’s spiritual development, and after listening to it one would feel like they had just been refreshed to the extent of feeling reborn. Another fine example of the influence of Bach and Handel lies in the finale of Symphony No. 41 in C (K. 551), Mozart’s last symphony. It was in Vienna that Mozart met Joseph Haydn and they struck up a close friendship despite the difference in age. The two remained close friends and after Mozart’s death, Haydn offered to teach Wolfgang and Constanze’s youngest son music when he was of age, and did so. Since the scarlet fever Mozart had contracted as a child, he was a rather sickly person. He fell in and out of sickness all throughout his life. On 5 December 1791, Mozart had his final illness. He passed away at 1 a.m., leaving behind an incomplete Requiem in D Minor (K. 626), an influenced Beethoven, and an altogether changed musical world. Some say that the Requiem is what led Mozart to his early death. It was commissioned by the eccentric count Franz von Walsegg anonymously. The count himself was an amateur chamber musician, and one of his hobbies was commissioning music from composers greater than him and passing it off as his own. The Requiem was one such an occasion. The Requiem was a death mass intended for the Count’s late wife, and about death, basically. So when Mozart started writing it, he became so immersed in it that the only way that he was to finish it was to ultimately, die. Mozart enjoyed fame during his lifetime, and he often earned enough for him and his family to live a wealthy life. However, they didn’t have savings accounts back then, and when the Mozart’s found that they were spending excessively, they had not enough willpower to do anything about it. Mozart did not die in complete poverty, but the last of his great grand children did. In fact, the community had to pool together some money to ensure that she did not die on the streets. Long after Mozart’s time, there have been many great composers, but none quite like Wolfgang Amadeus Mozart. When you think of classical music, three composer’s names tend come up: Wolfgang Amadeus Mozart, Ludwig van Beethoven and Johann Sebastian Bach. Despite them all having been around at different times (though Mozart and Beethoven met briefly in Vienna), they had something in common. They were all geniuses. And they were all not appreciated in their own times. Later, though, the works of Bach was rediscovered by Felix Mendelssohn, who arranged for a performance of St. Matthews Passion in 1829. It was a resounding success and it earned Mendelssohn much acclaim at the early age of 20. After that performance, Wolfgang Schmieder began indexing Bach’s works giving us that lovely “B.W.V” next to a number that we now see beside every one of Bach’s pieces. Johann Sebastian Bach was born in 31 March 1685 and died in 28 July 1750. Bach lived during the period of music known as the Baroque period. If you study Classical music, you will notice that pieces composed in the same era will sound similar. For example, if you were to compare Johann Pachabel and Antonio Vivaldi, they would both have about the same styles, such as the Poly-phony style in which there are two voices in one piece, and not just melody and harmony as it evolved into in the Classical period. If you don’t recognize the names, Johann Pachabel is best known for his Canon in D, the only canon he ever wrote, and Antonio Vivaldi is best known for his Four Seasons composition. Another composer from the baroque period and J.S Bach’s contemporary is Georg Friedrich Händel – who later added an “E” to the “Georg”, changed the “Friedrich” to “Frideric” (though who could blame him – Fried-rich?) and dropped the two dots above his “ä” in his “Händel” when he moved to England and became a subject of the country, making him George Frideric Handel. A person, who had much to do with Bach’s career and who could have changed it was Georg Philipp Telemann, who in his time exceeded Bach’s popularity greatly as he was offered a post in Eisenach as Kapellmeister over Bach. Despite that, Telemann and Bach may have kept up a strong correspondence with one another, and Telemann was even godfather of one Bach’s own son, Carl Philipp Emanuel Bach. Curiously, although Handel lived about 50 miles away from Bach in later life, they never once met – a fact which Bach regretted deeply. When Bach was 10, he became an orphan and was sent to live with his oldest brother, Johann Christoph Bach. It was there that, at midnight, when everyone was asleep, he would creep down to his brother’s study and copy music in a dimly lit room. It may have been because of this that later in life his eyes gave out and he died shortly after a failed eye operation. When J. S. Bach was 22, he decided that he was of the age to settle down and choose a wife. He had fallen deeply in love with his cousin, Maria Barbara Bach, and so it was perfect that they should marry. In those days, marrying one’s cousin was not scandalous at all, and considered okay as long as it was your 2nd cousin and not your 1st. Scary, isn’t it? Bach and Maria had seven children together, of which four survived childbirth. They had a comfortable and happy marriage until Maria’s sudden death in 1720. According to Maria and Bach’s second surviving son, Carl Philipp Emanuel Bach, Johann Sebastian was away in the Carlsbad spa with his employer, the Duke of Anhalt-Cöthen, when Maria died. When Johann Sebastian returned to their home in Cöthen, he found out that she had died and had already been buried. Bach took a year to mourn but looking after four children was not an easy task. He was a busy man as the Kapellmeister (director of music) to Prince Leopold of Anhalt-Cöthen and so he married Anna Magdalena Wilcke in 1721 to help out with the washing up, presumably. Anna Magdalena was 17 years Bach’s junior and a very talented soprano singer. Bach wrote a number of compositions dedicated to her, most notably the Notebook for Anna Magdalena. Together, they had 13 children, of whom six survived. It has to be said that Bach, like Beethoven, was rather grumpy in his time, but perhaps that is to be expected of a perfectionist. And older Bach looking rather grumpy. Bach’s legacy lives on, and is an irreplaceable part of every classical musician’s repertoire. The Classical era gave us melodious composers such as Joseph Haydn, Johann Christian Bach, Muzio Clementi and Wolfgang Amadeus Mozart. The Romantic period gave us breath-taking composers such as Felix Mendelssohn, Pyotr Ilyich Tchaikovsky, Frederic Chopin and Ludwig van Beethoven. The Baroque music gave us many marvelous composers like Arcangelo Corelli, George Frideric Handel, Johann Pachabel and Antonio Vivaldi, but none like the great Johann Sebastian Bach. Since Mendelssohn’s history changing discovery, Bach has garnered many admirers’, among whom, are Frederic Chopin, Wolfgang Amadeus Mozart and Ludwig van Beethoven. He has influenced thousands of young composers in both Classical and Rock/Pop genres. In fact, his Toccata and Fugue in D minor has been used in many rock songs. Bach has even been referred to as the “father of all music” – a title that has never been more true. Bach’s Toccata and Fugue in D minor. Muzio Clementi was born in Rome in 1752, which happened to be the Classical era of Classical music. The eldest of seven children, he had become the organist in the local church by age 13. Clementi is not quite your average composer (but then, composers aren’t quite average are they? ), for his talent drew the attention of one Peter Beckford – cousin to the English writer and dilettante William Beckford – and around 1766, Beckford “bought Clementi off his father for seven years”. Yes, bought. In late 1766, Beckford returned to England with his purchase. In Beckford’s house in Dorset, Clementi set out to study and practice the harpsichord. After his apprenticeship of seven years was over in 1774, he moved to London and played in more and more concerts as an organist. From there, his popularity grew quickly, especially after he published his Op 2. in 1779. Optimistic and encouraged, he set out on a tour abroad. A notice in London reported that Clementi was received with much enthusiasm in Paris—a notice perhaps provided by Clementi himself. Having played for Marie Antoinette with great success, he was reportedly astonished at the ‘gentle and cool approbation given by the English’. He later played for Marie Antoinette’s brother, Emperor Joseph II, in Vienna and it was there that the famous pianoforte (a baroque piano) contest, initiated by Joseph II, with Wolfgang Amadeus Mozart took place. Clementi played well, but he did not win the competition. Mozart was a tough challenger, and until then, Clementi had been self-taught on the harpsichord, and this was his first encounter with the pianoforte. Later in Clementi’s career, he was called Mozart’s arch-rival but Clementi never quite took Mozart to be his rival for he greatly admired Mozart, a feeling that was not returned, as this letter from Mozart to Clementi’s father illustrates: “Clementi plays well, as far as execution with the right hand goes. His greatest strength lies in his passages in 3rds. Apart from that, he has not a kreuzer’s worth of taste or feeling – in short he is a mere mechanicus.” (Mechanicus is the Latin word for robot). In fact, Mozart even went as far as to say that “Clementi is a charlatan, like all Italians. 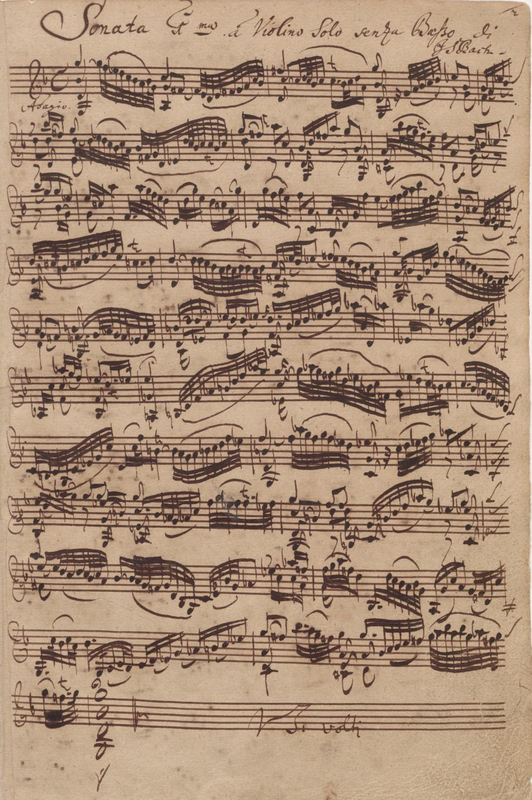 He marks a piece presto but plays only allegro.” Prejudiced or not, Clementi’s B-Flat Major sonata captured Mozart’s imagination, and ten years later in 1791, Mozart used it in the overture to his opera Die Zauberflöte (The Magic Flute). This made Clementi rather resentful, and he made sure a note was included in each publication saying the overture was composed ten years before Mozart began writing Die Zauberflöte. Clementi’s admiration of and devotion to Mozart, which was not very much reciprocated, is evident from the amount of transcriptions he made of Mozart’s music. Among them is a piano solo for the overture to Die Zauberflöte. Clementi stayed in England for 20 years, starting 1782—teaching, conducting and playing the piano. Two of his students grew to be fairly famous—Johann Baptist Cramer and John Field, with the latter later becoming a major influence on Frédéric Chopin. But not everyone was as disapproving of Clementi as Mozart. Ludwig van Beethoven was one of his greatest admirers and in 1807, Clementi struck a deal with Beethoven. Clementi now had full rights to publish Beethoven’s compositions in England. In addition to playing the piano, teaching and conducting, Clementi began manufacturing pianos. However, in the same year that the deal for publication rights was struck with Beethoven, Clementi’s piano factory burned down. In spite of this, he continued making pianos. In 1813, Clementi and a group of prominent professional musicians in London founded the “Philharmonic Society of London”, which became the Royal Philharmonic Society in 1912. It is still around today, and their Gold Medal for outstanding musicianship is still being awarded, although rarely. By 2008, it had been awarded to fewer than a hundred musicians. Interestingly, the medal has a profile of a bust of Beethoven on it. In 1830, Clementi, who was married three times, moved to outside of Lichfield, England and spent his final, less exciting years in Evesham. He died on 10 March 1832 and was buried at Westminster Abbey. Despite some criticism for ‘correcting’ harmonics in Beethoven’s music when he published them and other, more personal ones; his music lives on in musicians all over the world.